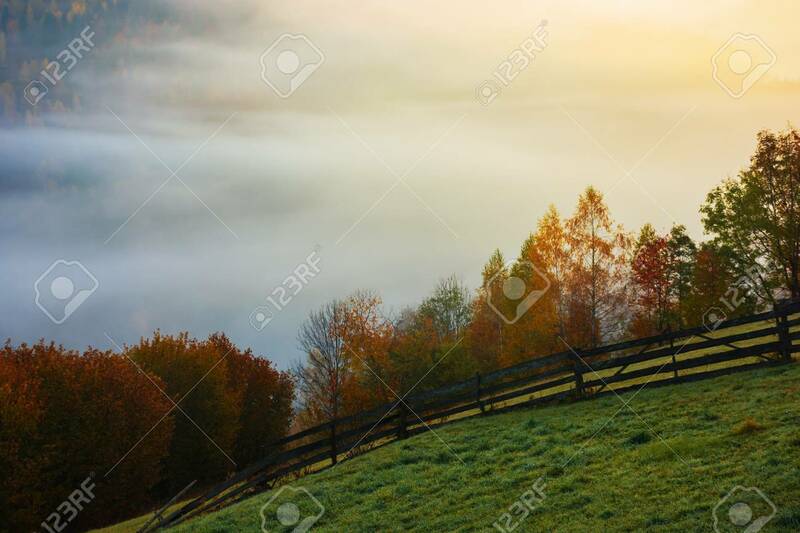 Rural Area In Mountains At Foggy Sunrise. Wonderful Autumn Scenery... Stock Photo, Picture And Royalty Free Image. Image 116824849.